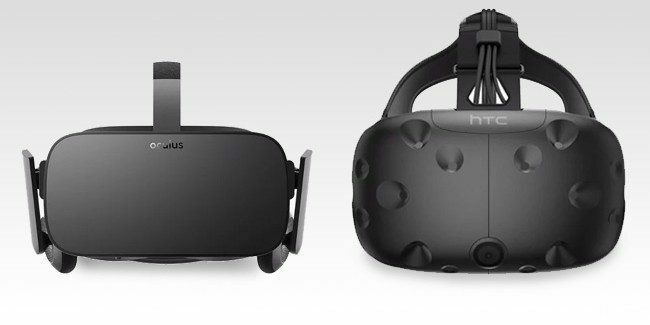 In the latest data from Valve’s monthly Steam Hardware Survey, the results show that the Oculus Rift has once again increased its market share gains over the HTC Vive virtual reality headset. 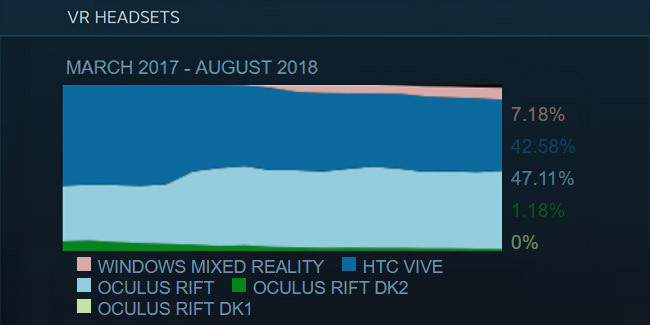 According to the latest Steam Hardware Survey, which is based on optional participation by Steam users, show the gap widening between the two headsets to just slightly under 4% in August with the Oculus Rift at 47.11% (up from 46.18%) over the HTC Vive, which came in with 42.58% of the total share (down from 44.35%). Interestingly, Microsoft’s Windows VR headsets have also slowly, but steadily gained market share to 7.18% on Steam, up from 6.41% the previous month. These gains are likely the result of ongoing sales and reduced prices by manufacturers of individual headsets. Of course, it’s worth noting that participation in the Steam Hardware Survey is optional, and the data does not necessarily represent the actual market share of VR headsets owned by consumers. However, it does provide some indication of what the current PC VR landscape looks like right now.